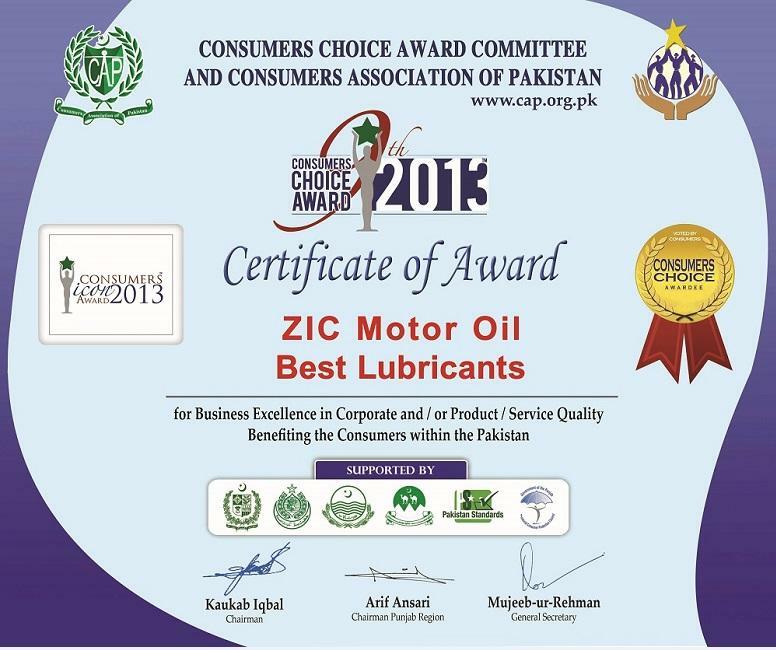 ZIC won the celebrated consumer choice award in the category of Best Lubricant for Gasoline Engine Oil. This made ZIC the category winner of Gasoline Engine Oil for the 3rd year in a row. This year the honorable Provincial Minister for Industries & Commerce Mr. Rauf Siddiqui was the guest of honor who handed over the trophy of Best Lubricant for Gasoline Engine Oil to Mr. Abid Askari who received the trophy on behalf of ZIC. Consumer Choice awards are awarded by the Consumer Association of Pakistan who conduct a survey nationwide both on locations and through social media to select the best brand in their particular fields. The survey is conducted amongst the end users on the basis of brand’s Quality, Reach, Awareness & Performance. Congratulations to the entire Group.